If you enjoy politics, scandals, power struggles, and a little drama, then you’re in for a treat — Punch has it all. 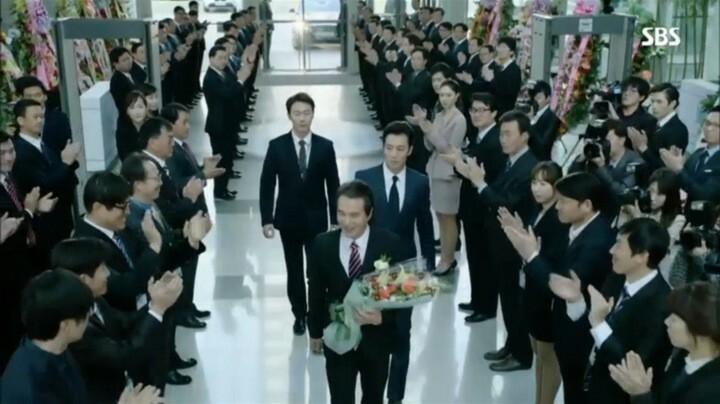 Punch is a Korean drama portraying the lives of modern day prosecutors. It explores how they cope with the constant clash between ideals versus reality and scrutinizes the paths they choose in response to temptations and survival. The drama gives each character a distinctive and essential purpose in the overall storyline. There are the obvious good guys, like main heroine Shin Ha Kyung (Kim Ah Joong), who believes upholding the law and punishing crime is their sacred duty. There are the obvious bad guys, like main villain Lee Tae Joon (Cho Jae Hyun), who does whatever it takes to advance his own career. 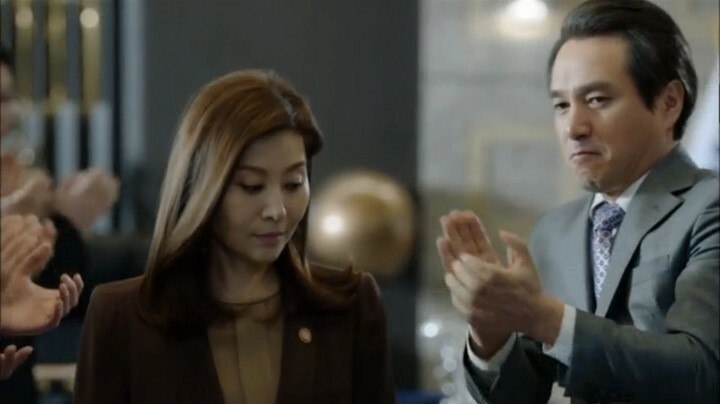 But then there are also those who are more ambiguous, like main hero Park Jung Hwan (Kim Rae Won) and Minister of Justice Yoon Ji Sook (Choi Myung Gil). They walk the line between good and bad as their actions don’t always ladder up to their beliefs and intentions. Regardless of the roles they serve, each character is portrayed with consistency and depth so it’s easy to relate to their psychologies and motivations. The lead actors also do an amazing job of channeling the emotions and personas of their characters, making them all the more realistic and memorable. Beyond the well-written characters, Punch offers a tightly-woven, fast-paced storyline with constant twists and turns that kept me on my toes. There was never a dull moment and I just didn’t know who’s going to come on top in this power struggle until the very end. 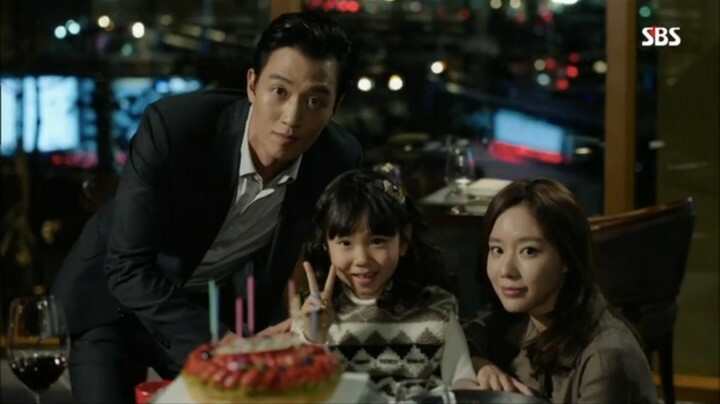 The first three episodes of Punch introduce the characters’ relations, motivations, and backstories. Though the rapid dialogue and fast occurring events keep me engrossed in the drama, it does feel a bit overwhelming to keep track of what’s going on. If you’re not familiar with Korea’s judicial systems and terminologies like me, it’ll definitely take time and deduction to comprehend who’s who and how they’re all interconnected. Jung Hwan and Jo Kang Jae are Lee Tae Joon’s trusted aides and they help him become General Prosecutor by devising traps against his competition. Meanwhile Jung Hwan’s ex-wife Ha Kyung uncovers an illicit case against Lee Tae Joon and his brother and intends to bring them both to court. She has the backing of Yoon Ji Sook, who’s upright and has been seeking ways to crack down on Lee Tae Joon’s corruption. 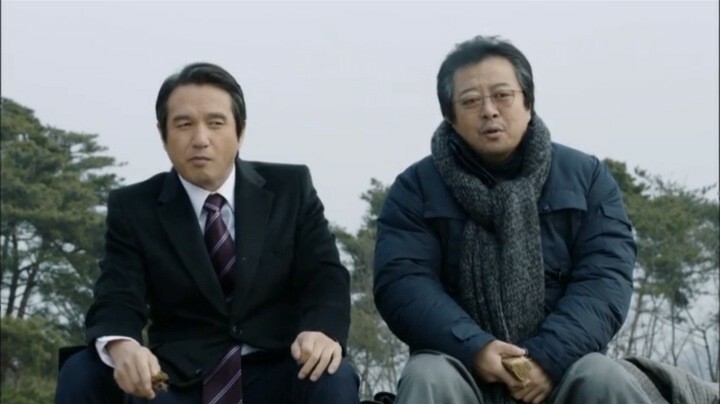 So the two sides’ rivalries heat up as Jung Hwan and Ha Kyung duke it out. While it requires effort to follow what’s happening in the drama, these episodes clearly depict the individual personalities of the characters. Jung Hwan is sharp, ruthless, and power hungry — nothing will stop him from reaching his goals. Ha Kyung is righteous and human, but not always effective against her devious opponents. Lee Tae Joon is weasely but loyal to his family and Yoon Ji Sook is stubborn about adhering to her high ethical standards. Another attractive aspect of the intro episodes is the unconventional setup for the rest of the drama. Just when Jung Hwan is about to get everything he wants, he’s diagnosed with a brain tumor and only has three months to live. During his surgery, Lee Tae Joon betrays him under the influence of Kang Jae who’s always been jealous of Jung Hwan. 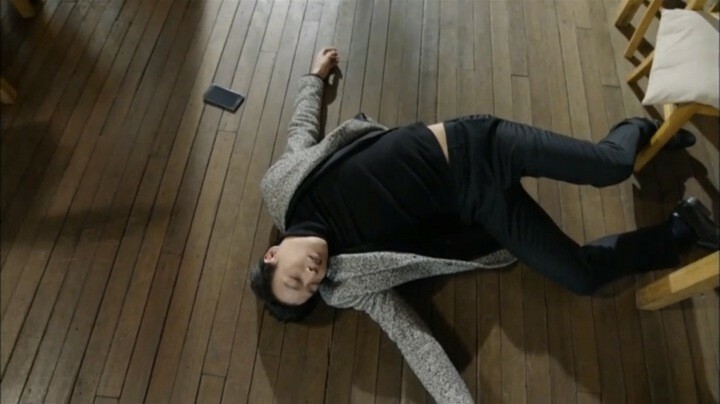 While it’s rare for a Korean drama to reveal the inevitable death of the main character so early on, it works as the perfect plot device that leads into the drawn-out battles in the episodes to follow. The efforts spent in tracking Punch‘s complexities definitely pay off here and any concerns of the drama turning into a boring political propaganda completely vanish. Punch kicks into an intense, unpredictable cat and mouse game between Yoon Ji Sook and Lee Tae Joon. There’s no shortage of frequent close calls and repeated escapes keeping me at the edge of my seat. The crucial factor in the middle deciding which side has the upper hand at any given moment is of course, Jung Hwan. Punch kicks into an intense, unpredictable cat and mouse game. 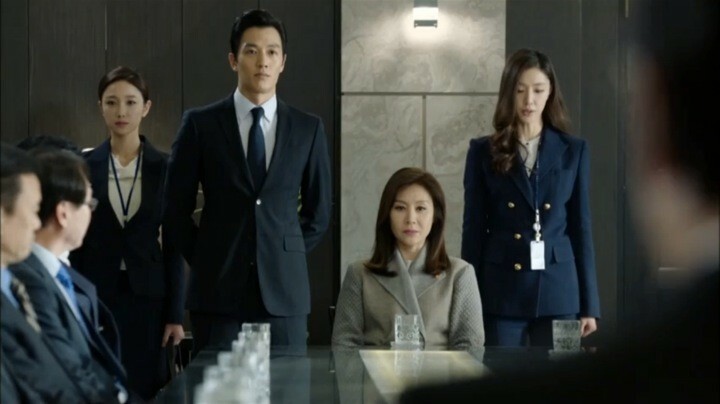 First, Yoon Ji Sook’s attempt in disclosing Lee Tae Joon’s misdeeds to the public gets blocked by Jung Hwan as a bargaining chip to save Ha Kyung. But when Lee Tae Joon declines to cooperate and tries to force Yoon Ji Sook to resign, Jung Hwan decides to join hands with Yoon Ji Sook and saves her instead with an ingenious come back plan. 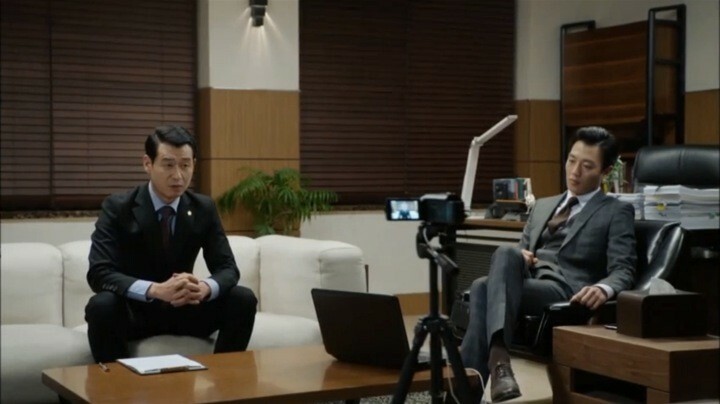 Subsequently, Yoon Ji Sook appoints Jung Hwan as head of the Anti-Corruption Team and he officially enters war with his former boss by chasing after incriminating evidence against the Lee brothers. The conclusion of this section pushes the drama to new heights and imprints a deep impression on me. With Ha Kyung’s help, Jung Hwan quickly has the Lee brothers cornered. But just when everyone thinks it’s over, Punch produces an unforeseeable way out of this impossible checkmate for Lee Tae Joon. It’s a shocking twist that leaves me breathless and in awe of the great writing. Punch‘s solid plot progression continues as the dynamics of the main characters shift yet again. The straightforward good versus bad dichotomy takes an abrupt turn as characters make morally ambiguous decisions that unveil who they truly are underneath. To my surprise, the honorable Yoon Ji Sook has a dark secret from seven years ago. When Lee Tae Joon blackmails Yoon Ji Sook with her past mistake, she unexpectedly chooses survival over integrity despite her constant preaching of “one law for everyone”. Yoon Ji Sook cooperates with Lee Tae Joon without hesitation and agrees to sacrifice Jung Hwan as the scapegoat. When Jung Hwan and Ha Kyung uncover this plan, they vow to take down Yoon Ji Sook together with Lee Tae Joon. While I appreciate the exploration of a morally conflicting character, it does seem quite unrealistic how quickly Yoon Ji Sook agreed to collude with her nemesis and how far she’s willing to go to keep her secret hidden. This is the only flaw I could find in these otherwise well-written episodes. Regrettably, the radical shift of Yoon Ji Sook’s character and motivation continues to prevail and becomes an overly contrived plot extender. In several instances, she could have easily finished off Lee Tae Joon had she committed to her original cause but greed gets the best of her. Jung Hwan capitalizes on a bad political move Lee Tae Joon makes and pressures him to resign. Feeling cornered, Lee Tae Joon pulls a desperate move and “sells” himself to Yoon Ji Sook, promising to clear her path and help her get whatever she wants. I’m flabbergasted to find that not only does Yoon Ji Sook keep Lee Tae Joon around, she actually leverages his dirty work to manipulate her way into securing the next career move. As if that’s not drastic enough of a change of her persona, the drama follows up with another case of Yoon Ji Sook outright blackmailing Jung Hwan by using his innocent daughter. This is a shockingly stark contrast to her “all must obey the law” stance from earlier episodes. The end result is that Lee Tae Joon benefits from their fight and rebounds back stronger than ever, giving Punch the perfect pretext to elongate this seemingly endless power struggle. Once I get over the unnatural change in Yoon Ji Sook’s character, it becomes easy to focus on Punch‘s intensifying plot again. The major appeal of these episodes lies in Jung Hwan’s masterful scheming to revive a flame of hope in what seemed like a lost cause against Lee Tae Joon. Like a skilled chess player, Jung Hwan plans ahead, anticipates his opponents’ every move, and lures them into the traps he made. When all threads of investigation are nipped in the bud by their opponents, Jung Hwan brilliantly sets up an ambush to catch Kang Jae who’s busy cleaning up loose ends for Lee Tae Joon. He manages to trick both of them into betraying each other through a sequence of smartly devised diversions and bluffs that keep me completely captivated. With the final highlight being an equally intense cliffhanger that concludes episode 16, Punch races towards a strong finish. The last stretch of the journey does not disappoint. Punch‘s storyline culminates to an unexpected thrilling incident in the final struggle for survival, intermixed with a refreshing new focus on characters’ emotional development amidst the chaos. 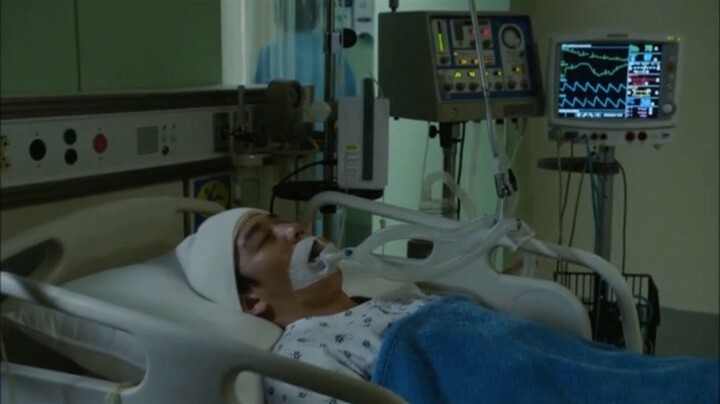 As Jung Hwan’s condition worsens, the drama begins to emphasize the growing disparity between his strong mental will and his waning physical strength. It instills a sense of frustration, desperation, and hopelessness not singular to Jung Hwan himself but experienced by all viewers including myself. Punch also shines a rare spotlight on Jung Hwan and Ha Kyung’s relationship during his final hours — a deep, genuine care and mutual forgiveness that manifests through the heartfelt acting dynamics between the lead actors. 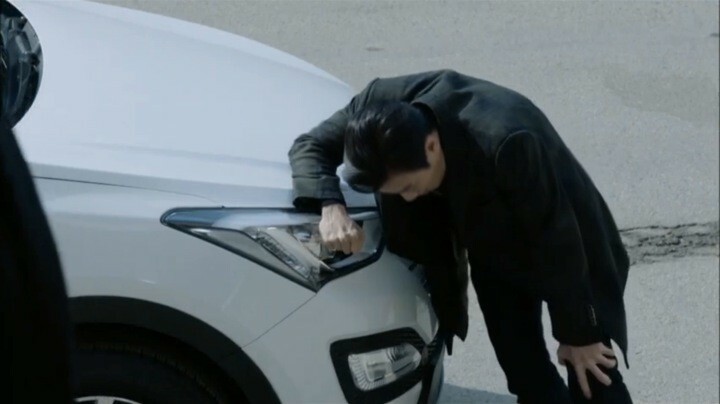 The soft emotional depictions are contrasted by the growing anxiety in the last attempt to bring down Lee Tae Joon and Yoon Ji Sook before Jung Hwan leaves for good. As Ha Kyung and Jung Hwan get closer to achieving their mission, the magnitude of the defensive measures from their opponents also escalates dramatically. They’re driven by an equally strong sense of desperation from being pushed against the edge of a cliff. The suspense continues until the very end with both sides barely hanging on by a thread and giving their all to become the ultimate survivor in this prolonged fight for justice. Punch wraps up strong with the moral lesson that although the lines between good and evil are often blurred, the ends don’t justify the means.